Our number one selling board and one of the favorites in our range for some years now. This versatile all around shortboard is the perfect choice for surfers that want to get more waves with less effort, and keep the same speed and performance of a pure shortboard. Don't we all want that? The wider point in the chest area allows you to catch waves easily and have more control than a normal shortboard would offer. The bump in the front fins area, makes the board loose and responsive, working really well in different everyday surfing conditions. There is nothing lazy about this board, this is one of the fastest and most versatile shortboards in our line-up. 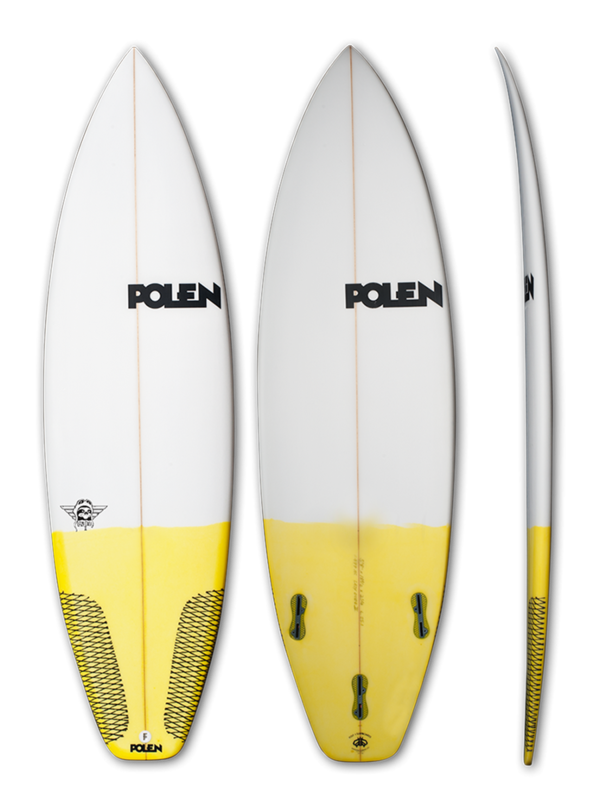 Featuring a low entry rocker, a single to double concave finishing with a smooth V off the tail, mid/low rails, round squash tail and 3 fin set up, this board is a great all around and a must have in you quiver. Depending on your surf level, you can order 2 shorter than your normal shortboard.